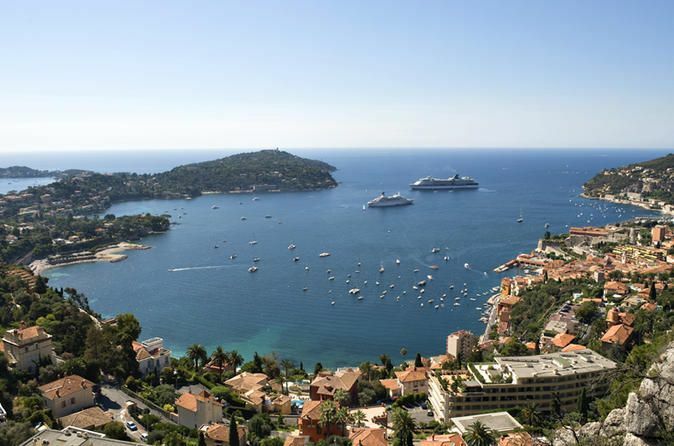 Experience the best of the French Riviera during a private day trip from Cannes. Take a leisurely walk down the beachside Promenade des Anglais in Nice. Visit stately Monaco to see the Royal Palace and ornate casinos. Drive the Formula One Grand Prix track in Monte Carlo. Stop in Eze where you'll visit a typical French medieval village made up of narrow lanes and stone buildings. Tour the Fragonard perfume factory. See where Hollywood stars walk the red carpet at Cannes' Festival Palace. Enjoy the scents of Provence at the adjacent Fragonard perfume factory. Visit the historic center of Nice, with a stop in the famous public square, Place Garibaldi. Take in the charm of Cours Saleya's busy flower market, inviting cafés and small shops. Continue on to Monaco to see the Prince's Palace, and the Monaco Cathedral, where Princess Grace and Prince Rainier are both buried. Stroll around great boutiques and luxurious casinos in Monte Carlo. Drive on the Formula One Grand Prix circuit that runs through the city. Next, head to the medieval village of Eze, which sits at roughly 1,400 feet, so you'll get excellent views over the French Riviera. Stroll along the shops selling locally-made handicrafts and art of the old village and enjoy some free time in Eze. Next, have a guided tour at Fragonard's perfume factory to learn about fragrances and perfume making-process. Continue to Cannes, where you'll drive the glamorous Croisette Boulevard lined with chic shops and restaurants. Stop at the Festival Palace to see the location of the Cannes International Film Festival which takes place here annually.